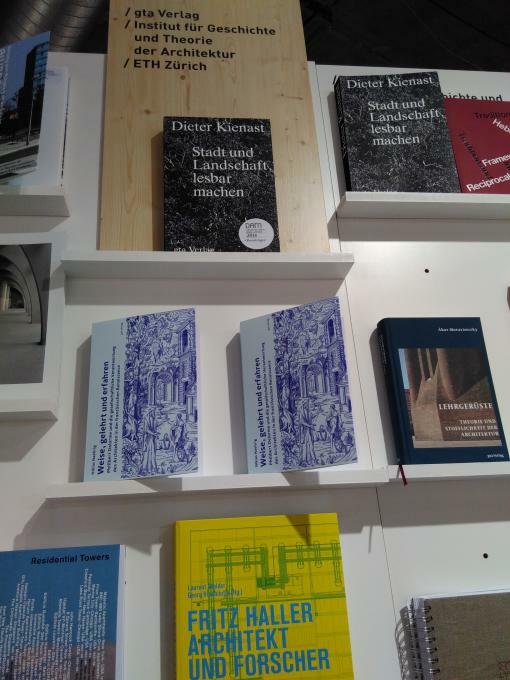 The gta Verlag publishes books on the topics of architecture in theory and practice, architectural history, urban planning and regional planning, landscape architecture, and the preservation of historic buildings and monuments. The publishing list is aimed at non-specialists with an interest in architecture, as well as at the international specialist audience. The company aims to meet high standards in content and design, and to ensure outstanding production values. The company strives, above all, to reflect the broad range of topics and the intellectual standard of the teaching and research conducted at the Institute gta and the Department of Architecture at ETH Zurich, both internally and externally towards the outside world, helping to contribute to the university’s wider reputation. Furthermore the publishing house aims to provide a bridge between theory and practice, university and public life, thereby helping to establish a firm base for university activities within society as a whole.